High Tides at Snack Jack is a Florida beach bar located in Flagler Beach. Discover this great Florida beach bar. High Tide at Snack Jack in Flagler Beach was written up in Coastal Living Magazine as one of America's great seafood dives. High Tide at Snack Jack has been serving up delicious food with great views since 1947. 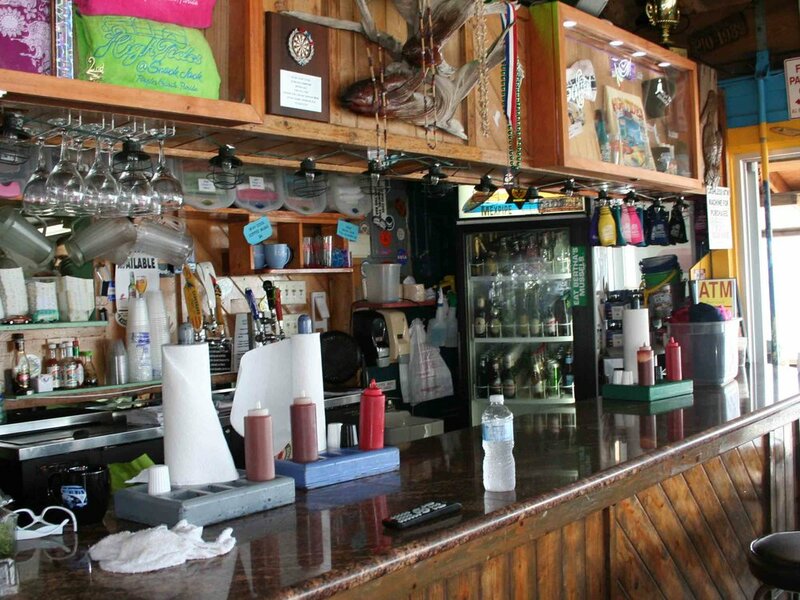 This charming Florida beach bar offers beer, wine and a great atmosphere. Although you can't get hard liquor here, the bartenders do a great job of mixing your favorite drinks with creativity. The food is very good at Snack Jacks. We sampled the Coconut Shrimp with the Raspberry Sauce and it was yummy. Parking at this Florida beach bar is limited, however, there is a valet who will make sure you have a place to park. The valets are cordial, friendly and efficient. Music comes from the jukebox, but High Tides at Snack Jacks is always lively and fun. The customers at this Florida beach bar are treated well by the wait staff who do seem to have a good sense of humor. The wait staff is also extremely hard working. Previously High Tides at Snack Jack was cash only. You will be happy to know that they now accept credit cards. 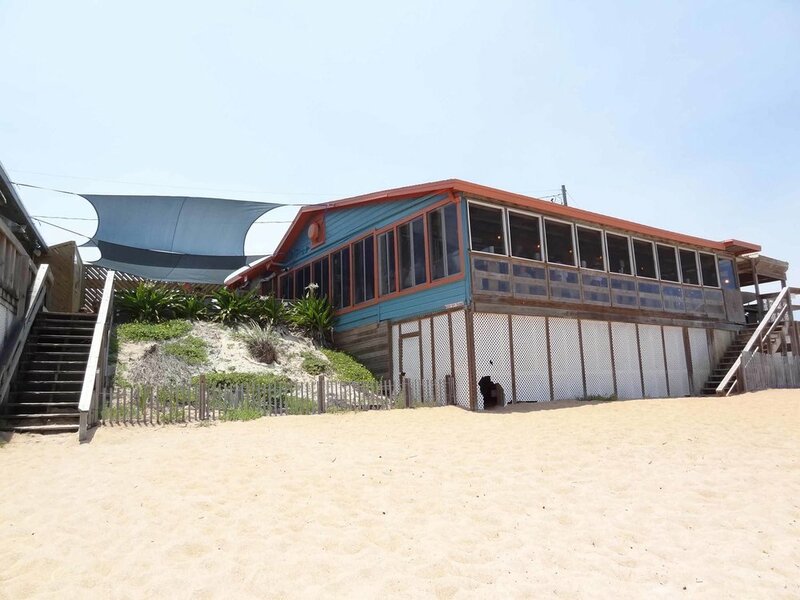 We do think that High Tides at Snack Jacks is really more a beachfront restaurant than a true Florida beach bar because it is lacking a full bar and doesn't have live music. As you know, live music rates very high on our scale. 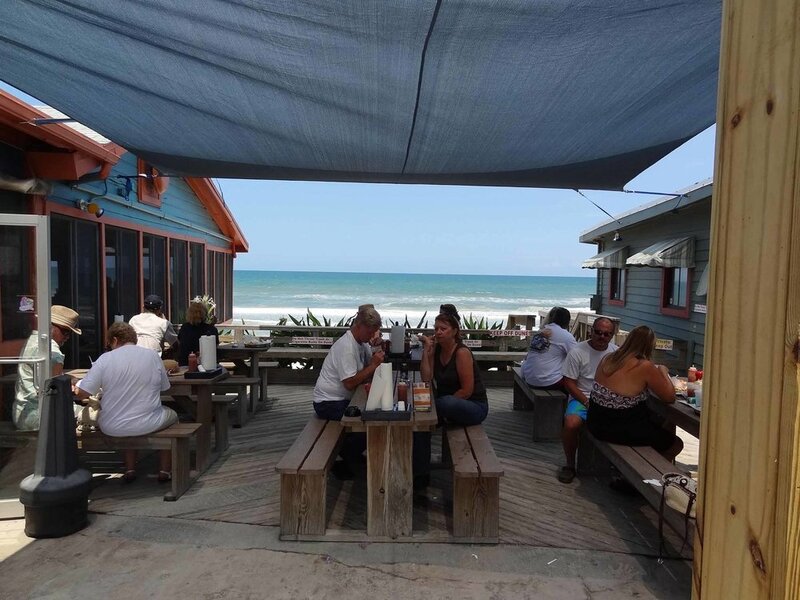 Then again, we think Snack Jack's is a must see stop when in Flagler Beach because the food and views are fantastic. Most tables afford a good view of the roaring Atlantic Ocean. You might catch sight of a surfer or two. The water is a beautiful shade of blue. You will find yourself mesmerized by the waves and reluctant to leave this eclectic Florida beach bar. High Tide at Snack Jack's is the dream of two women who wanted a place with "sun, surf, great food, fun people." We think they have achieved their goals.